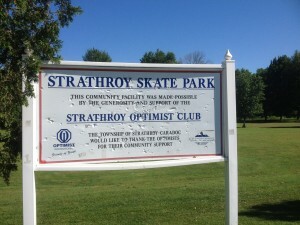 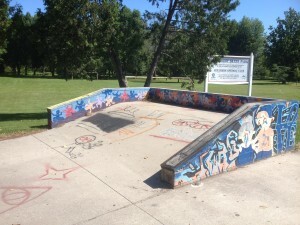 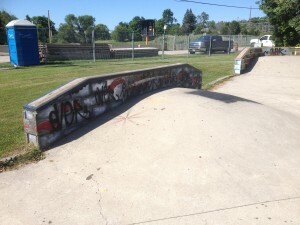 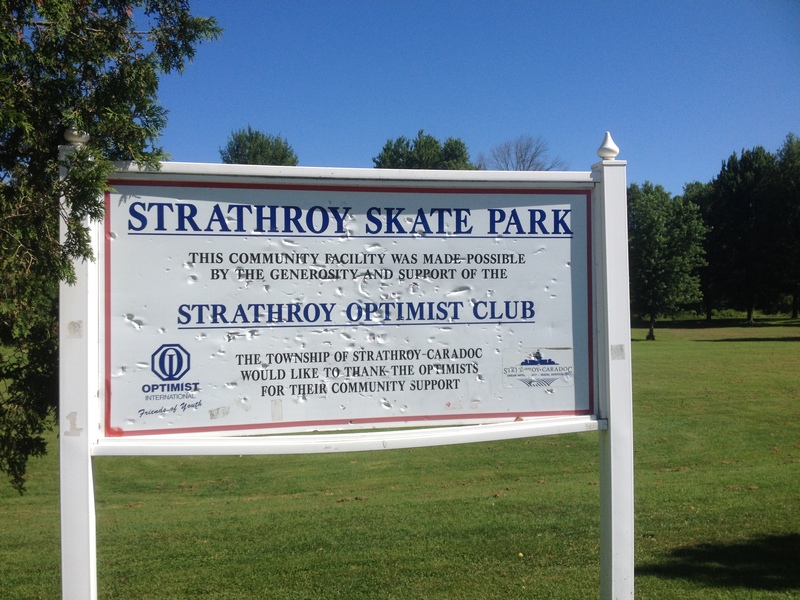 Strathroy Skate Park was built by the local Optimist Club. 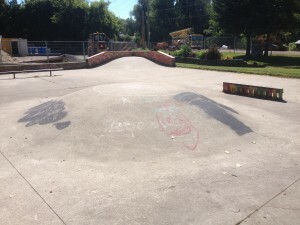 It’s a nice park for little kids and those just starting out. 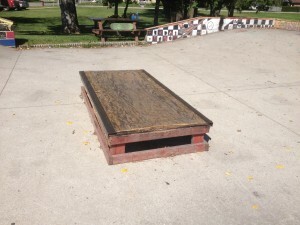 It has a large bump in the middle of the park. There is also a half-pipe. 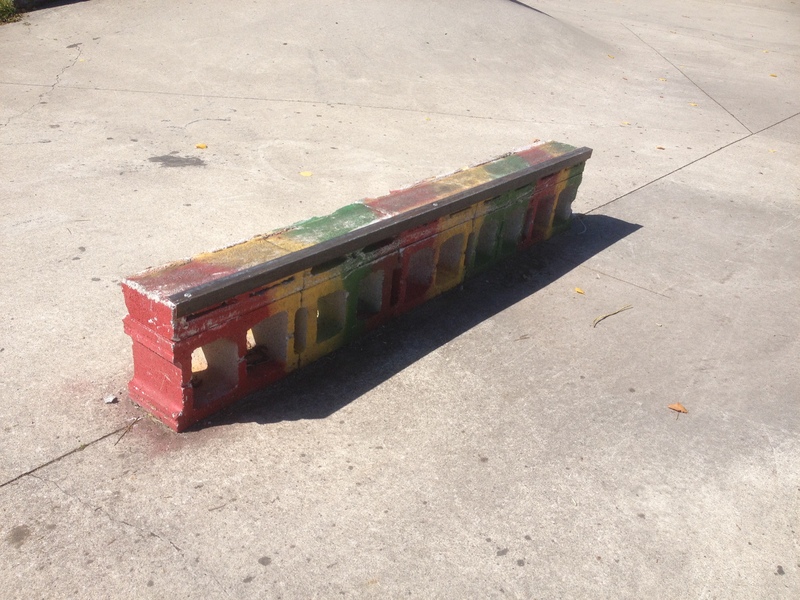 It doesn’t have any coping and the two sections are a bit too far away from each other, but it’s still fun to skate. 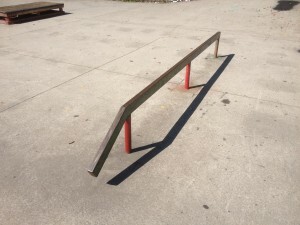 The rail has been replaced recently as well. I wouldn’t go out of my way to skate here, but if you are in the neighbourood, it’s a nice place to skate.